This year, my son is taking an Astronomy class at a three-week summer program. It’s intense – they are doing some tough stuff during these three weeks. My son loves it. On the first day, he was so excited to tell me that the teacher told them to USE their camera on their cell phones/iPods!! The teacher told them to take pictures of the activities they do in class. Wow. He gets it!! The kids are going to use the pictures to create a slide show for the Open House night on the second-to-last day of camp. I think this is brilliant. Instead of the teacher taking all the pictures, let the kids! That way you see the class through their eyes – not the teachers. The kids have a task, a responsibility. The teacher also encouraged the kids to show their parents the pictures. So my son does. It’s been a great way to get past the “What did you do today. Nothing.” conversation. Instead, I ask him to show me the pictures he took that day. We’ve had some great conversations, he’s talked a ton more than he would otherwise, and I’ve learned something. It would have been much harder to explain some of what they did without the pictures. So, besides learning incredible stuff about astronomy, the kids are also learning digital citizenship, and 21st century skills such as communication and collaboration. In addition, they are using visual media to communicate – and since over 60% of this generation are visual learners, this fits right in. So, thank you, Mr. Bullard. You get it. 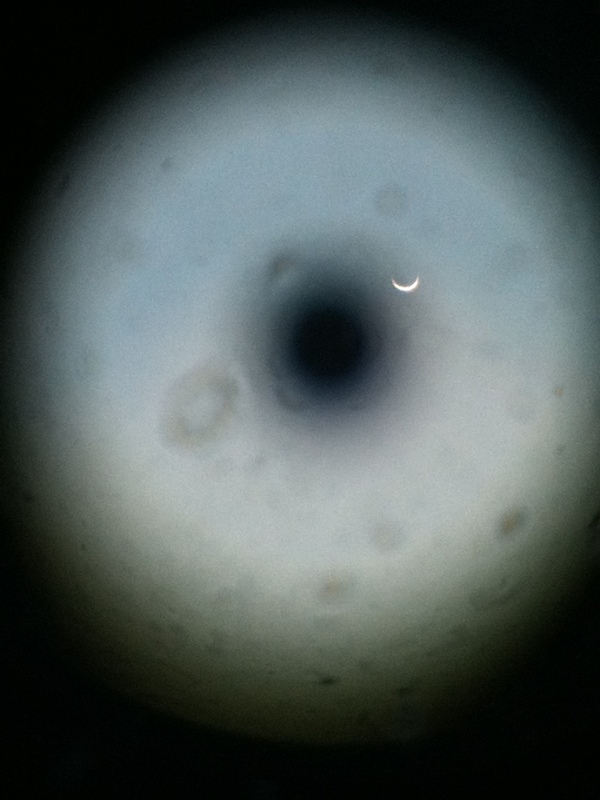 A look at Venus through a telescope, taken on a field trip. 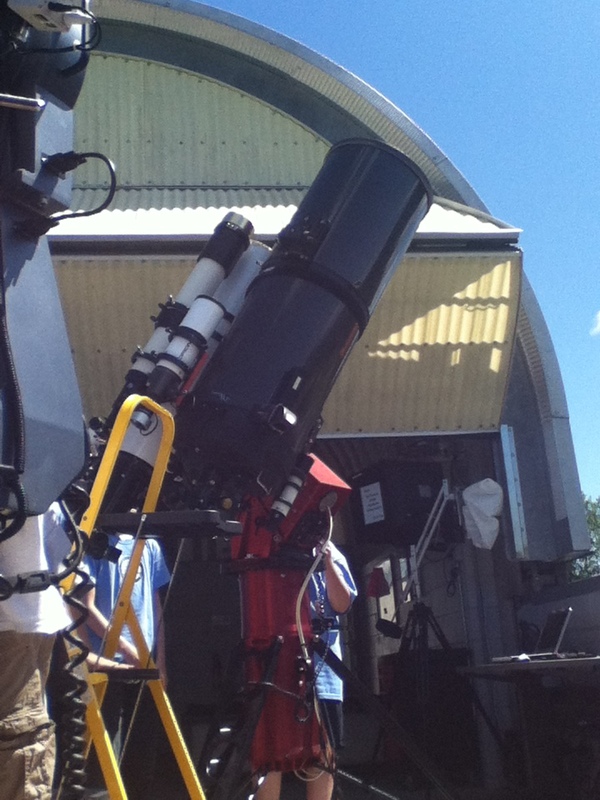 Telescopes that the kids used on their field trip. 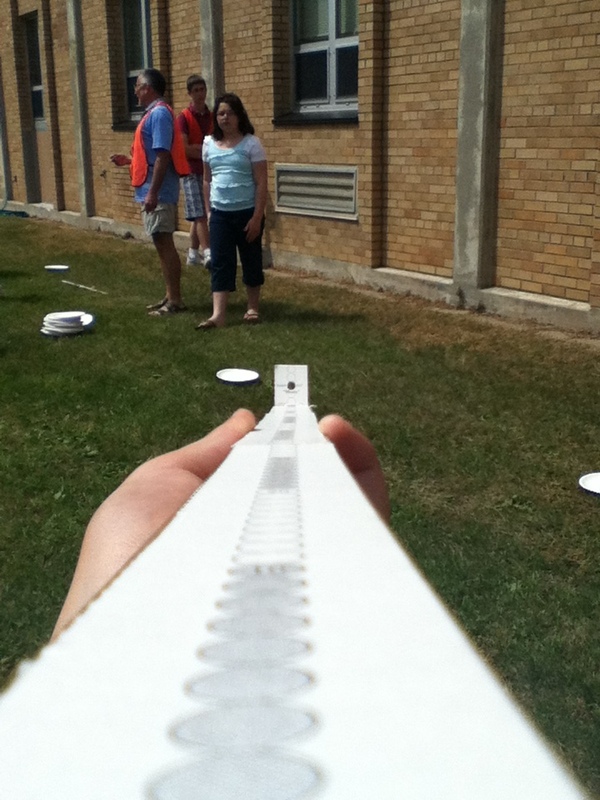 The kids made a Moon Ruler to measure how far away the moon was. This was much easier to explain having a picture!